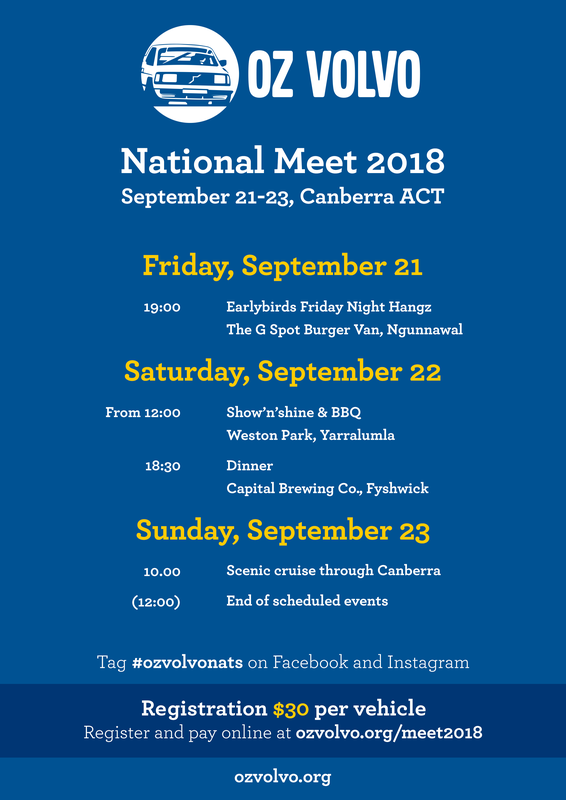 This year's National Meet will be held from September 21-23 in Canberra ACT. Annoucements and updates posted here as they happen. Meet disbands around midday Sunday so you can all leg it back to your respective capital cities. We have a 10% group discount code with Alivio Tourist Park. At this early stage I believe the cheapest booking option is still if you book and pay in full up-front, but we have a 10% discount for the normal bookings rate which you can apply when booking (also handy if you don't want to pay in full up-front). Alivio have a good spread of options from nice villas to motel rooms to powered caravan sites, something for everyone. 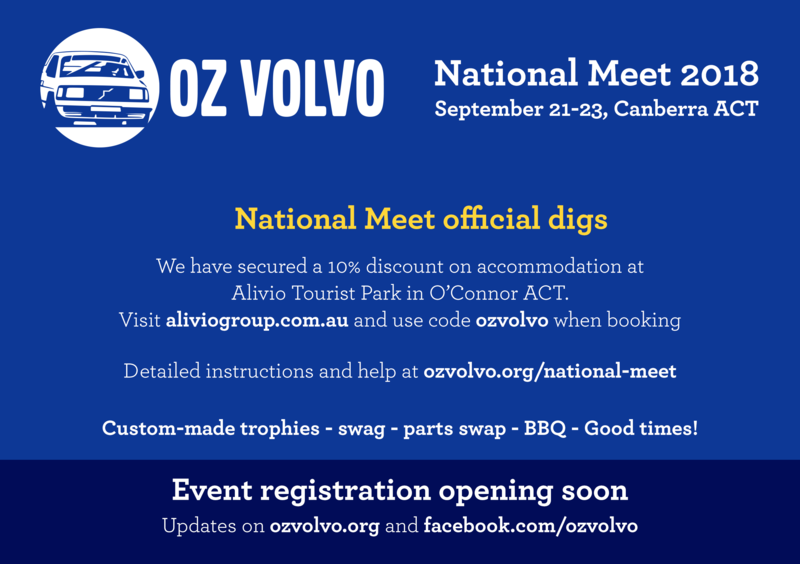 The discount code is: ozvolvo and can be used any nights between 20/09/18 and 24/09/18. Present: 1977 244DL, 1996 850R wagon (black), '91 240 GLE "Brapwagon"
Associated acts: '81 244 DL "Band-Aid", '81 244 GL Turbo "Billie"
We’ll be keen for this too. Update: we've secured preferred accommodation with some local wisdom from @paul0075 and they're going to give us a discount code you can use when booking for a cheaper group rate. I'll update the thread again when I have the code. Marked in the calendar, accommodation organised (staying with a mate). I'll head up either Thursday or Friday and try to make a Focus ST/XR5 meet-up while I'm there. So, it's a solid, very-committed 'IN' from me. Likes good coffee & motorsport. Builds stuff. Occasionally races stuff. So in!!! Question is.... Baz, Rat or T5? Vee_Que (@Vee_Que) South Eastern suburbs Melbourne. I've finalised accommodation discounts. We have a code on file with Alivio Tourist Park. At this early stage I believe the cheapest booking option is still if you book and pay in full up-front, but we have a 10% discount for the normal bookings rate which you can apply when booking. Raebird (@Raebird) Springfield Lakes, Qld. 360GLT - Will eventually be AQ171 powered!